Welcome to Hinky's Home Page! When I say "HOME" page, What I mean is this is a page of pictures and information about my Home & all my Peeps.. Husband, Son, Daughter-in-law, and grandson. Also our two peeps who we have grown to love and enjoy so very much! 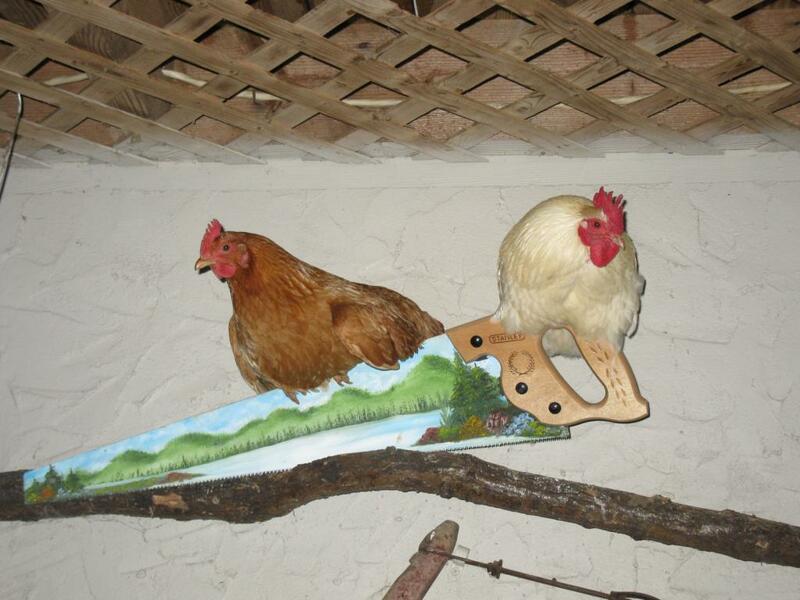 If anyone would have told me that I would "love" a Hen & a Rooster I would have told them they were crazy.. The only thing I ever felt for a Hen was a feeling of contentment after a fine supper of Chicken & Dumplings!Chicken Little & Henny Penny. 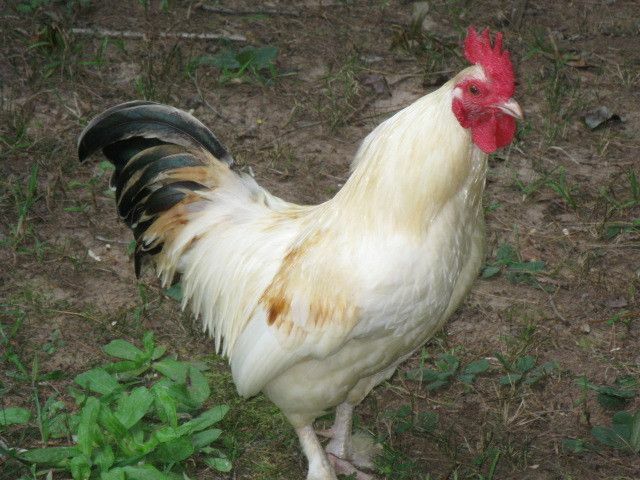 We were adopted by our Rooster "Chicken Little' about a year and a half ago. We believe he was an escapee from the Tyson Chicken farm next to us.. Chicken Little was hanging out in our Veggie garden for about a week. I looked out of the kitchen window one day and told my husband hey, There's a little white Rooster in our garden.. He said, yes I know he's been out there for a week now and he's tearing up the garden! He went to our neighbors with the Tyson farm and told them about the Rooster. They laughed about him being an escapee and told my husband we could keep him. Obviously he wasn't happy there so maybe he would have a good life with us... so hence, how Chicken Little came to live with us..
My husband took such carefree Rooster and that crazy Rooster followed him around everywhere.. We had Chicken Little for about 6-9 months and my husband started feeling sorry for him. He thought the Rooster was lonely. So off he went to the Feed Store to purchase a Hen for our lonely rooster..When he returned with our new teenage hen our grandson decided he must "marry" them. As the Hen and Rooster were introduced to each other our grandson hummed the Wedding song and said, "I now pronounce you Mr. & Mrs. Little" We cracked up when he said that! He named the hen " Henny Penny". so Henny Penny & Chicken Little were married and would now take up residence here at our home in the North Ga. Mountains. 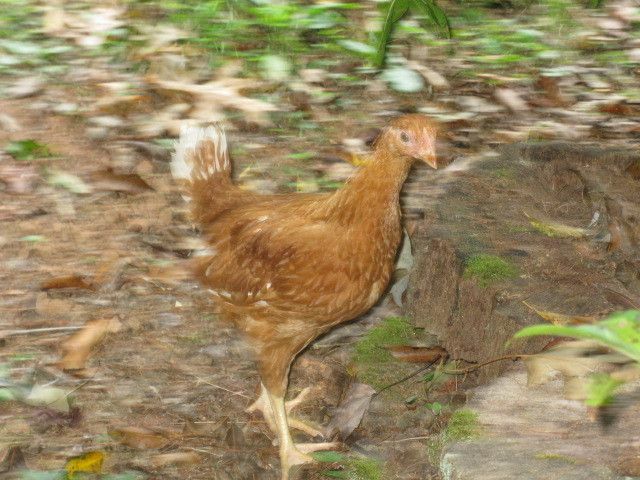 Here are some pictures I took the day Henny Penny came to live with us.As you can see she was just a teenager and wasn't laying yet. she's the brown bird (a leghorn) and there are some pictures of Chicken Little the Rooster. We're not sure just what kind he is? He's on the small side but very pretty. Last Picture is where we found them one day when there was a wind and rain storm.. We built them a run and coop soon after this.. Crazy birds... They now have a tarp wrapped, fiberglass roofed, heated, hen house to call home.